After reading media stories about the low-quality education New York City students were receiving, Education Through Music founders Edmund Schroeder and Eldon Mayer decided they wanted to take action. After seeing first-hand a school that was utilizing music education to improve educational outcomes, they decided to collaborate in 1991 to provide music education to schools that did not have the resources to teach their children the arts. Since then, Education Through Music has grown into an organization that is reaching thousands of children, giving them the high-quality music education they deserve. Today, what started in one school is now in 65 schools serving nearly 34,000 students. Education Through Music is a nonprofit 501(c)(3) organization, Federal Tax ID #13-3613210. 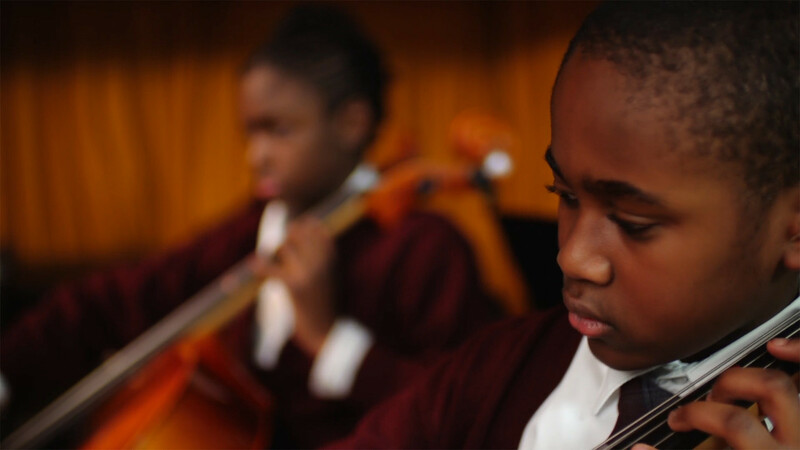 Education Through Music believes that every child deserves access to high-quality music education, taught by qualified and well-trained music teachers. Music should support learning in other key areas, including math, science and language arts. Engaged parents and school communities are key to the success of students. For members of the media, download our media kit for more information about ETM. Take a look at our impact. Get the latest on our work.